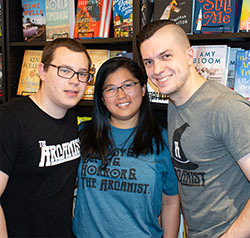 Point Park University creative writing alumni Andie Fullmer ‘14, Josh Hrala ‘12 and Patrick Morris ‘14 founded The Arcanist, a web-based literary magazine focused on genre-based flash fiction and in-depth looks into pop culture’s biggest stories. 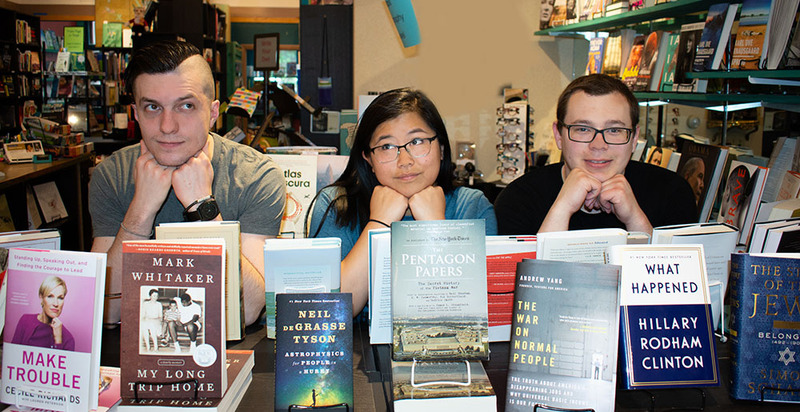 Below, the alumni discuss how Point Park brought them together through their passions for literature to create this unique magazine. What inspired the three of you to join together to create this literary magazine? 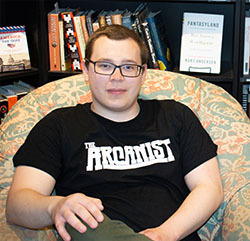 Josh: The idea behind The Arcanist took shape over the course of a few years. After graduation, we all kept writing together, workshopping each other’s stories and trying to find a way to create something new and exciting with our passion for literature and stories in general. Eventually, we decided to launch The Arcanist because it firmly fell within our skill sets and we wanted to create something fresh while also providing a new, paying market for our science fiction and fantasy writers online. Besides paying writers — something that we care dearly about — we also wanted to make a place that highlighted science fiction and fantasy in a way that would attract new readers and writers, which is why we launched on the online publishing platform Medium and decided to specialize in flash fiction over longer forms that are gated by paywalls and other fees. In the future, we aim to publish monthly issues to Kindle, and move towards longer forms of fiction. We also have our Year One anthology coming out soon in print and e-book formats, plus serialized stories that will be coming in the next couple of months. Tell us about the work you do and the audiences you serve. Patrick: Our responsibilities are to read stories that have been submitted for consideration, decide which stories we'd like to publish and then send letters of acceptance and rejection as needed. As of now, our audience is the sci-fi/fantasy reading and writing community. However, we're constantly striving to appeal to a larger, literary sphere of readers. How have Point Park classes and faculty helped you? Andie: The classes I took there not only taught me a lot, but also changed how I view the world. When I watch TV, I break down what choices I agree with and what I would change to make the story better. When I watch stand-up comedy, I like to take apart the jokes and discuss how the humor works. I think this is how I knew I was on the right track. I'm always dissecting story and craft and brainstorming ways to improve those things no matter what the medium is. I have really high standards for stories and that's something I learned at Point Park. All of my professors really challenged me to become a better writer. Josh: One of the big reasons I chose to attend Point Park was because my mom went there for her undergrad, which really put the University on my radar. I also wanted to stay in Pittsburgh and commute to school to save money, and Point Park ticked that box, too. Patrick: I wanted to attend a university that valued relevant, contemporary ideals, and a smaller, more intimate class size. Point Park University offered exactly that. Andie: One of the things that drew me to Point Park was the size. I transferred from a large university where I would attend lectures with more than 100 students. No one knew if I went to class. When I would take an exam in one of those classes, I had to show my ID because the TA wouldn't recognize me as a student without it. At Point Park, the classes are small enough that you get a really personalized experience. My personal interests could shape the class discussion. I really got to know my professors and I felt that they really cared about helping me pursue my academic interests. I could go to a professor and ask her opinion on a project I was working on for a different class and get help. My experience felt less focused on grades and the bottom line and more focused on learning and growing and being challenged. 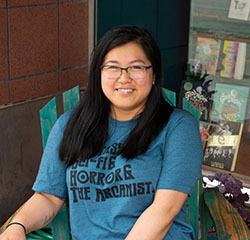 Andie: Looking to the future, there are a lot of goals both short term and long term that I have for The Arcanist. We're still in the beginning stages, so each of us has a full-time job on top of our responsibilities for The Arcanist. I'd love for us all to be editors full time. We plan on running contests and increasing community involvement and we'd love to open up submissions to nonfiction, longer fiction, art and comics. We have a reader base that I'm very grateful for, but there's a lot more work to be done. 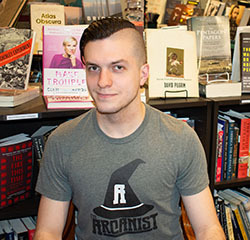 Josh: My goal is to one day make The Arcanist a part of a larger publication where we publish science fiction and fantasy books, serials and podcasts. We’ve grown quite a bit this year and have big plans for the year to come. If not with The Arcanist, I still aim to work in publishing and writing. As long as I’m doing those, I’ll stay happy. Writers are encouraged to submit their work to The Arcanist. Learn more on the Call for Submissions page.